If you’re anything like me, you don’t have a lot of time to cook gourmet meals between work, exercise, catching up with family and friends, and everything else. But just because you’re pressed for time, doesn’t mean you have to eat unhealthy. So check out this recipe round-up for easy and healthy breakfast, lunch, and dinner ideas! 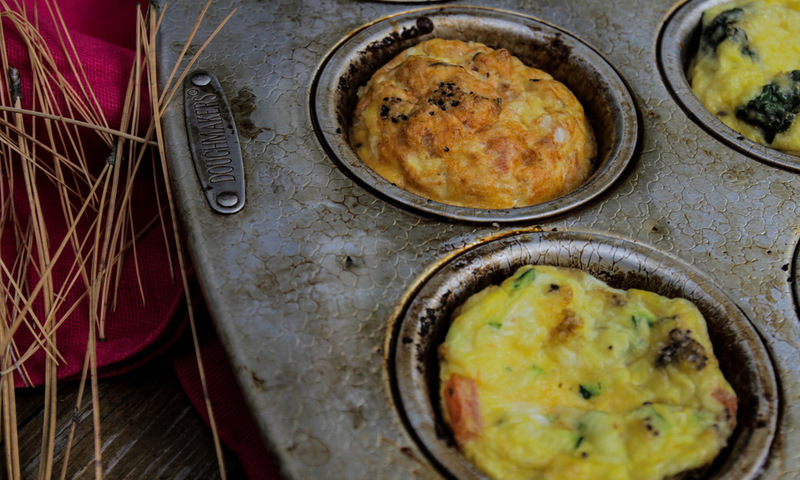 Egg muffins by Prescribe Nutrition. These are perfect to make for a protein-packed breakfast on-the-go. Get creative and throw in your favorite veggies! Pan crisped muesli cakes by Seven Sundays. With just four ingredients – these muesli cakes are a cinch to make (muesli is oatmeal’s cool cousin) and are mouth-watering good with a dollop of honey Greek yogurt and maple syrup! Gluten-free pumpkin pancakes with bacon and pecans by Against All Grain. Who says pumpkin is just for autumn? These pancakes are delicious year round! Lemon poppy seed oat pancakes by A Couple Cooks. You can never go wrong with pancakes – especially lemon flavored. Five simple breakfasts to fuel an early morning workout by According to Elle. Includes one of my all-time favorites: avocado toast. Quinoa & arugula salad with lemon vinaigrette from A Nutritionist Eats. This salad is bright and healthy with a nice lemony zing. It’s delicious with chicken! Toasted sesame ginger salmon by How Sweet It Is. Salmon is a breeze to make and this recipe has a nice punch of ginger. Brussels sprout chopped salad by Eating Bird Food. A tangy apple cider vinegar dressing pairs well with chopped Brussels sprouts, hard boiled eggs, walnuts, and dried cranberries in this side salad. Easy broccoli stir fry by Edible Perspective. A super versatile stir fry (just add your preferred protein) that’s packed with veggies and a light tasty sauce. Slow cooker Creole chicken and sausage by Pinch of Yum. Short on time? Slow cooker to the rescue! This one-pot meal explodes with flavor. 30-minute coconut curry by Minimalist Baker. This coconut curry comes together quickly and is full of healthy fats (coconut milk from a can) and veggie goodness. Sweet potato and feta dinner skillet by A Couple Cooks. You can’t go wrong with a sweet potato and egg combo – this recipe works for breakfast or dinner. Cold rice noodles with peanut-lime chicken by Smitten Kitchen. Whether the rice noodles are cold or hot, this is a great dish loaded with fresh herbs and a medley of two tasty sauces. Chicken and broccoli stir fry by Fit Food Finds. Stir fry is a go-to in our house because it cooks up quickly and is healthy. Lots of green goodness and some zippy red chili pepper! Chipotle lime shrimp tacos with strawberry salsa by How Sweet It Is. Strawberries scream summer – and as a salsa? Yes, please!